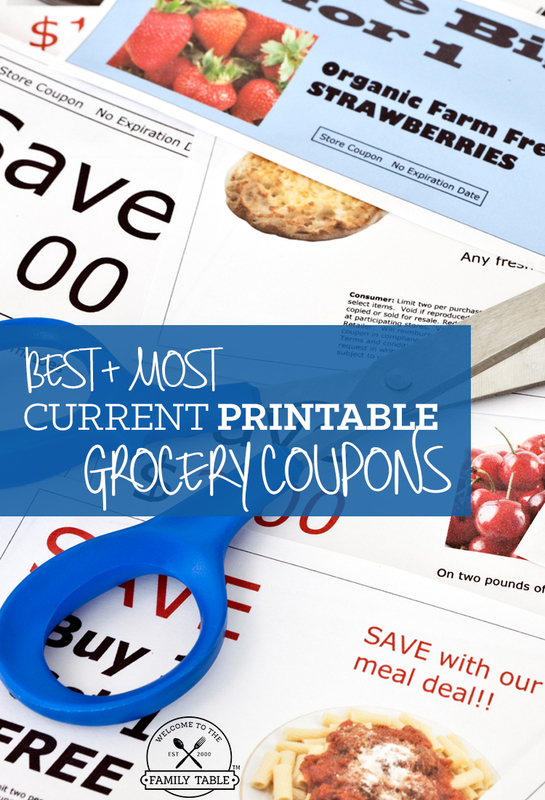 Free printable grocery coupons are one of the quickest and easiest ways to begin saving money on your grocery budget. The ease of being able to print out the grocery coupons you want (even from your smartphone) is a time saver. Not only do free printable grocery coupons save you money, they also save you time by allowing you to focus on the coupons your family will use. That’s why we are so excited to offer you a FREE printable coupon database right here on Welcome to the Family Table™! In addition to the benefits above, another great benefit about using our free coupon database is that you can do it from home or on the go! All you need is an Internet connection and access to a printer and you are on your way to savings! We encourage you to bookmark this page and come back as you need to print off more coupons. It’s a good idea to check in once or twice a week to see what the most current deals and savings are!